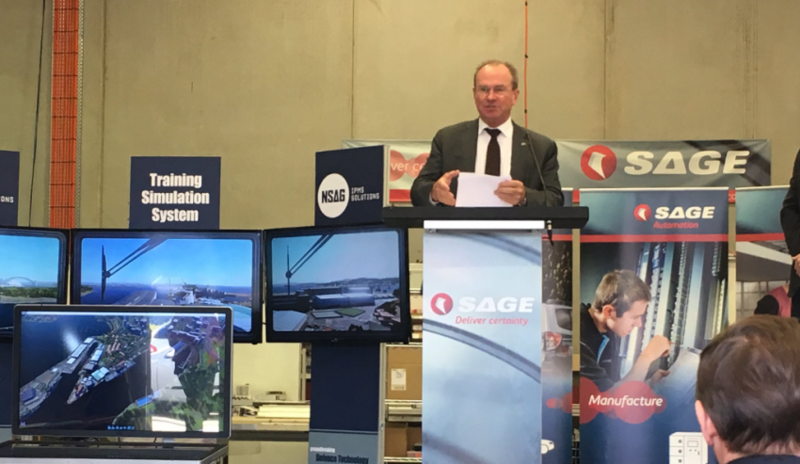 South Australia’s Minister for Defence Industries has squashed claims SA has been dealt the best hand for the distribution of naval shipbuilding projects, saying other states will benefit more in the long-term. Martin Hamilton-Smith told Defence Connect that, despite South Australia being selected as the build location for the 12 Future Submarines, nine Future Frigates and two Offshore Patrol Vessels, at least two other states will reap the benefits of the projects once construction finishes. "I'd just remind everyone that there's about $90 billion work in naval ship, or in construction work overall to be written. About $50 billion for subs and the rest is frigates and OPVs. Twice that amount, about $180 billion over 30 years will be spent sustaining the vessels. That is, maintaining them, servicing them, the docking," said the former Army officer. "Nearly all of that will be spent in Perth and in Sydney because that's where the fleet's based. "The West Australian and New South Wales governments have the added financial benefit of having the fleets based in their states with all of the investment of docking and servicing, handling … WA and New South Wales are overwhelmingly better off than South Australia through the life of the naval shipbuilding program. Overwhelmingly. "The way I like to put it is South Australia has breakfast, which is constructing the things, and even a lot of that work will go to WA and New South Wales. And New South Wales and WA have lunch and dinner. It's not correct to say that WA has been dudded, quite the reverse. If you ask South Australia whether we would rather have the fleet based in Adelaide and all the sustainment work done here over the next 30 years, or would we prefer to construct them, I'd go for the former because it's far more financially beneficial over the long-term." Politicians outside of SA, at both state and federal levels, have been critical of the federal government's decision to have the large portion of shipbuilding undertaken in SA, with some going as far to say the decision was made largely to save SA federal MP Christopher Pyne's seat. Despite Minister Hamilton-Smith maintaining the sustainment work is of greater value to WA and NSW, WA Minister for Defence Issues Paul Papalia has been highly critical of the federal government's allocation of build work, but complimentary of SA's defence industry advocacy. "When it comes to defence shipbuilding ... WA get dudded," Papalia said previously. "It's an absolute diversion to talk about sustainment and maintenance ... of course Western Australia will get sustainment of ships and submarines that are based in Western Australia, where else would you do that? That should be the baseline expectation for Western Australian industry." "They have done the best they can for their state," Papalia told Defence Connect. "They have been incredibly successful and have had strong advocacy for South Australia and for South Australian defence industry, and I've said for a long time now is that will do better to at least replicate their success." The first lot of construction of the government's $89 billion naval shipbuilding plan will commence next year when steel is cut for the Offshore Patrol Vessels, a $3 billion project for which three European companies are still tendering. It is expected at least two vessels will be built in South Australia before the project is moved to WA so construction on the $35 billion Future Frigates can begin in SA. Construction on the $50 billion Future Submarine Project is set to start in 2021-22. All 12 submarines will be built in South Australia.